REDARC Electronics has released the next-generation of its award-winning electric trailer brake controller, the Tow-Pro Elite (product code – EBRH-ACCV3). Available for sale from January 23rd. 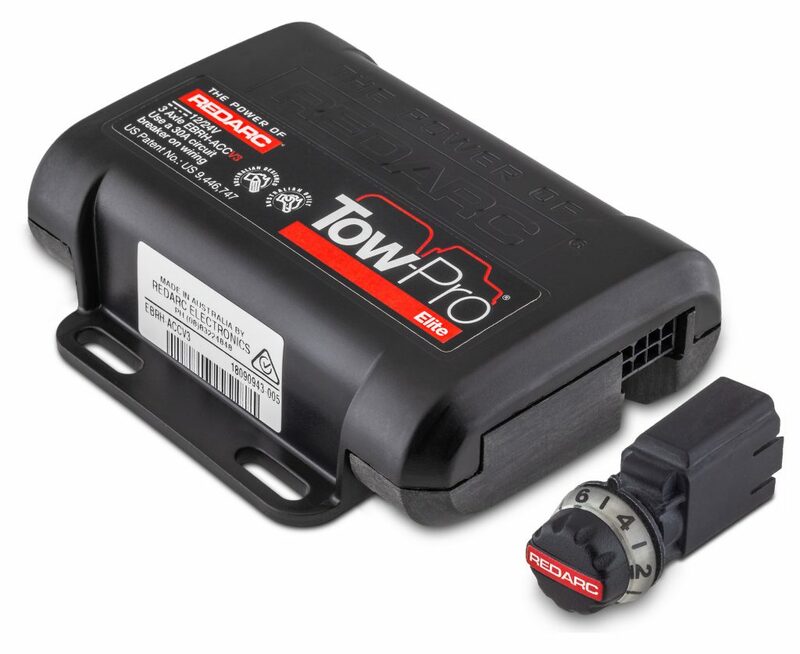 This is the 3rd generation of REDARC’s Tow-Pro brake controller with the original released in June 2014 and the acclaimed Tow-Pro Elite released in September 2015. This next-generation Tow-Pro Elite retains the same name as its predecessor and continues to set the benchmark in trailer brake control technology which has seen it become Australia’s favourite and most trusted brake controller. The main enhancements to the upgraded Tow-Pro Elite relate to the size and installation of the user interface (remote head) and compatibility with new vehicle technology. A change to the shape, length, size and depth of the remote head will allow a quicker and easier installation of the Tow-Pro Elite. It also ensures the remote head will fit into thicker and curved dashes found in European vehicles and trucks. Software upgrades have also been included in the next generation Tow-Pro Elite which will result in smoother braking for motorists towing heavy trailers and caravans.